I LOVE the gender-neutral color on this travel system! The fabric seems easy to clean and I think it will hold up well. The car seat comes highly recommended, and snaps in easily to the stroller. I don't care for the fact that the car seat can only be snapped in when the additional bar is installed, because it requires one more step to switch between using the stroller seat and car seat when you have an older baby who sometimes rides one way and sometimes the other. It is nice that the stroller seat can be removed when you have an infant who won't be using it. It makes the stroller slightly less bulky for the car and will keep the seat cleaner in the long run. I LOVE how this stroller folds up using a handle under the seat and lifts up, instead of folding forward onto the ground. You can hold the car seat in one arm and fold and stow the stroller with the other without setting either on the ground in the rain. 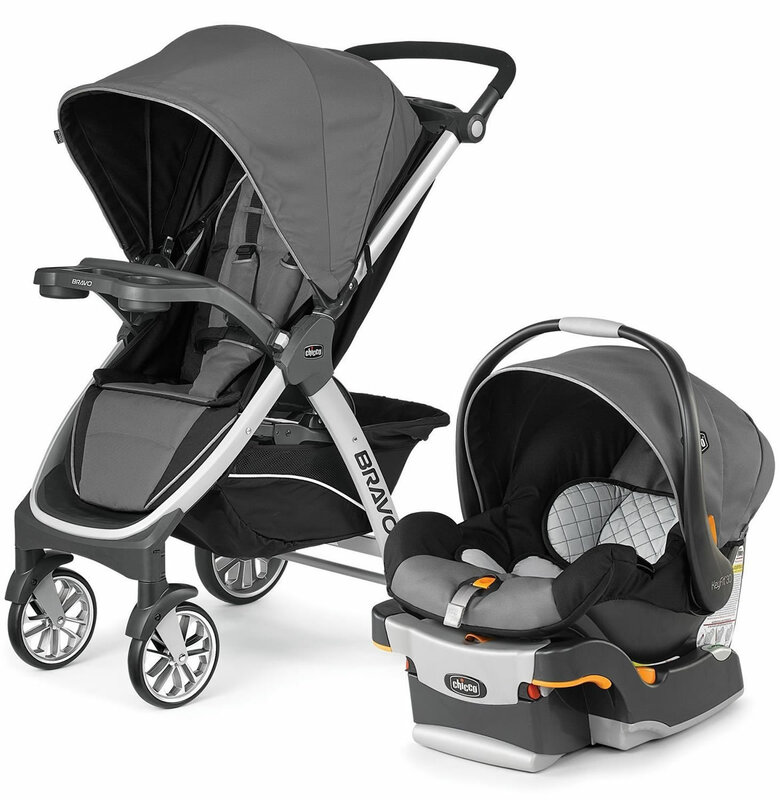 The canopy and basket are both bigger than the Graco models we were also looking at, and when the car seat is used with the stroller the two canopies overlap completely to protect baby from the sun or rain. When we received the stroller the box was missing a set of pins to install the rear wheels, and Chicco's customer service both on the phone and online was excellent and hassle-free. We received replacement parts with (almost) no questions asked and at no cost to us within a week or so. The car seat seems well-designed and is easy to use and adjust. I wish the arc on the canopy was just a tad wider, because it it difficult to push it all the way back past the seat if you don't want it, but that hasn't seemed to prevent other users from recommending it. The seat base was easy to install with the seat belt (in one car) and with LATCH (in another), and the seat comes in and out of the base quickly and easily. The audible click when installing the seat onto the base is nice to make sure it's connected properly! We're expecting our little guy any day now and I feel confident that he will be safe and comfortable in this car seat! We have used the Bravo Trio system for about 2onths now. It is an excellent stroller and lightweight. It works well on sidewalks, roads, and indoors. It can manage on small gravel walkways, but larger stones will present a problem, however; that was to be expected of this style stroller. Easy to use, lightweight nice for this first time mom!! Love this set! The latch system works perfectly. Had no worries about whether it was installed correctly. Our daughter is always comfortable in her seat and we know she is safe! We spent over $300 to purchase this stroller. We figured the quality would be much better. Canopy on carseat constantly getting Jammed. We've used this stroller for about 5 months now and the wheels are already bent. Compartment is difficult to access while you are using with carseat due to having to extend the inside seat to fit carseat. Ours didnt even come with a child tray for when our son is out of his carseat. Very Dissapointed!! Just brought this for our baby that�€™s due in May. Was super easy to assembly and the quality of both the stroller and car seat are great. It was a gift to my granddaughter and grandson for our first great grandson and they love it....perfect gift and perfect price. Great set!! Second set we've ordered for a gift! Just received my travel system and it looks great. The only thing I didn't realize is that stroller doesn't come with cup/snack holder that is usually in front of the baby when sitting (have to buy it separate). Baby is coming in a month and I hope this travel system lasts for a while. So, to be totally cliche, I have to say I love the color and pattern. We chose lilla for our little girl and it is beautiful. I picked up the carseat and base together and it does feel a lil heavy but it wasnt too bad so I'm sure I'll be able to manage with the baby in it. I followed all the instructions on how to work the carseat and stroller together and was able to figure it out, no problem. Stroller is awesome, folds up in a breeze and I love the free standing feature it has. Cant wait to actually use it! We are due any day now so looking forward to using the carseat for the ride home and taking baby for a walk! This stroller and car seat combo have worked great for us for the first 8 months. 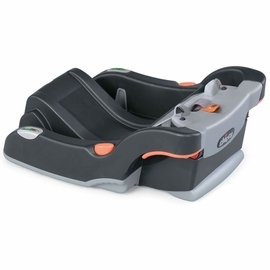 The car seat transfers easily from the car seat base to the stroller and back again. My only issue is that the car seat does not always snap-in correctly to the stroller. It sometimes goes in crooked but still makes the sound as if it snapped in correctly. We sometimes didn't realize that it wasn't in straight until long after we had been pushing our daughter around. Due to this, the liner of the car seat is now fraying because it seems to be rubbing in a spot that should not be making contact with the stroller. This could very well be user error, but I can't figure out what we are doing wrong. I'm about to switch over to the regular stroller since my daughter has almost outgrown her infant seat. Looking forward to seeing how the stroller works and how much lighter things will be without lugging around the car seat anymore! Our little girl is HEAVY! I would definitely recommend this product to anyone who is shopping for a travel system. ProsCompact design. Very easy to fold the stroller and install the car seat base. 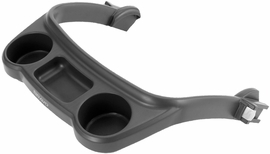 Consincorrect placement of the car seat liner by the user has caused unnecessary wear. Not able to figure out what we did wrong. Best UsesEvery day transporting of the baby! Very satisfied with this product. Construction is solid and well made. The ability to fold the stroller makes it easy to get in and out of a vehicle. The price was my final decision to purchase this item. Albee Baby offered the best price available online. 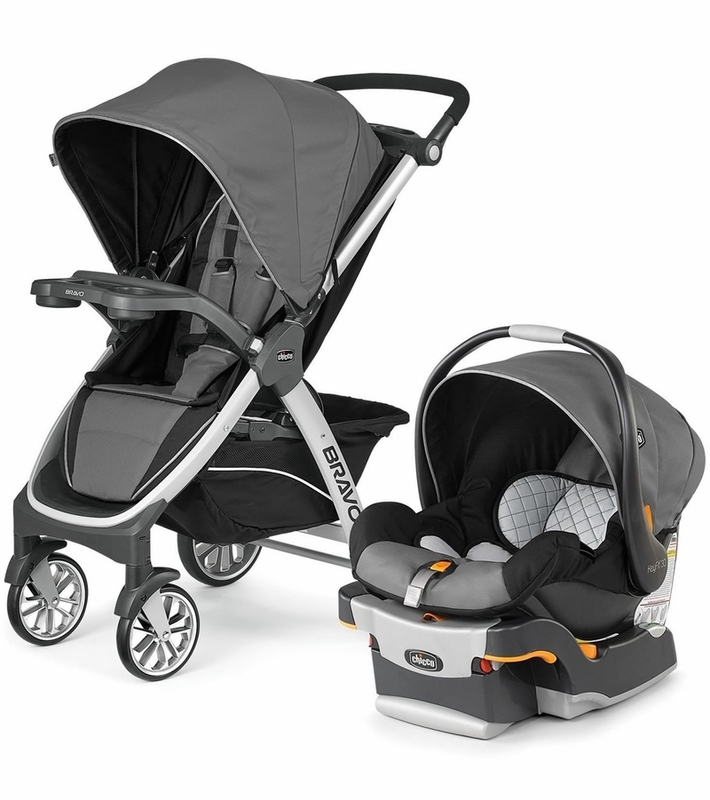 We purchased the Chicco Bravo Travel System for our little one arriving in January. The ordering process was very smooth, and we received the travel system sooner than the projected delivery date. Everything looks as pictured, and it seems to ride smoothly. Parts comes all in good shape. And very easy to install. I even learned how to use without looking at the manual at all. Having been using it for 6months already, absolutely love it. Good quality, easy to setup and great for daily use. The travel system came in very quick with a complete box. The assessable is okay, not too hard. The baby has not arrived yet, but we tried to install the car seat to our vehicle. So far, everything goes well. Just wait to see whether the baby will like it. I am through happy with the keyfit 30 car seat but the stroller is terrible. Car seat: It is very easy to install. I bought an additional base for use in my husband's truck and my mother in laws car. The base is so easy to install, I feel I could have got away with only one base and transferring it between cars when needed. The only down side, now that its winter in Canada, I want to use bunting but the straps are no long enough to fit my 8 month old and the extra padding from bunting. I understand this is a common issue with other car seats too. There is a recall on the car seat but Chicco sent a repair kit (two pieces of foam) and its easy to install. I'm trying to keep my son in the bucket seat for as long as possible. He is just over 20lbs and its very hard to carry him in the car seat. I think the car seat itself is 16 lbs. That would happen with any bucket seat. The stroller: I am thoroughly disappointed in this stroller. I bought this travel system because the stroller easily folds with one hand and its one of the lightest (21 lbs, I think) of full size strollers/travel systems, with my mother in law in mind. There is no way she could fold and lift this stroller. Though it folds easily, its heavy and awkward to lift. She is also very small and I am above average in height, I liked that the handle height was adjustable. I use the stroller daily. Ive had it for 8 months now and still use the car seat with it. I have not yet used the stroller on uts own. I keep it in my car trunk. I have a Toyota Camry. It takes up half the trunk. The wheels must be in a certain position in order to fold the stroller. Placing it in and out if the trunk puts pressure on the wheels. This may be the reason they seem weak. The stroller cannot be driven with one hand. Not even for a second which doesnt really matter because the parent tray doesnt hold a cellphone or beverage without falling out or spilling over bumps. As another poster reported, it has trouble maneuvering over crack in sidewalks, never mind the small curb from sidewalk to crosswalks. You'll spend half of your time jolting to a stop when the wheels hit a small lip and tilting to get over the smallest bump. As mentioned, don't bother putting anything in the parents tray for this reason. The brake is a little annoying to release but is similar to other strollers. In the plus side, I like that I can use the stroller canopy and the car seat canopy together to provide full coverage protection from the elements. The storage basket underneath is large. It does have one hand fold and folds easily. This is a great feature for someone who wants to store it upright. I DO NOT RECOMMEND THIS STROLLER. I have been looking for a travel system, since I entered my second trimester. And I was in debate between this one and the Britax. And I can say I�€™m glad I went with this one. I like how it feels smooth but strong and it�€™s not bulky. It feels really well built, my only concern has been the tray when it comes to pulling it out which is really hard. But other then that I really like the stroller. Now the car seat is lightweight but has a nice sturdy ness to itself. I feel like my baby will be protected. This is a good buy. We got it at a sale price for less than $300. The build is sturdy and baby seems comfortable in it. The only con is that the carrier cannot face forward on the stroller frame, which would have been nice once baby reaches about 6 months old and can see better. It�€™s easy to use and really nice stroller! I love this travel system. I love the luxury it provides my son at a reasonable price. My only complaint is the cup holder on the stroller. It is rather shallow and does not securely hold beverages - they fall out even when hitting a minor bump which can be a safety issue for baby. I still use the stroller but with a separate attached cup holder after my mom spilled a soda when walking my son and a coffe mug fell on my son when I was adjusting the shade (thankfully the lid stayed on and he wasn't burned). This stroller system was a shower gift, so it hasn't actually be used yet, but the quality is great and the orion color is very gender neutral. It was easy to assemble. This was our first purchase with Albee but most likely won't be our last! About 2 hours after ordering, I received and email that it had shipped! It arrived exactly when stated. Also this was the best price we were able to find anywhere! Very pleased with this purchase!! 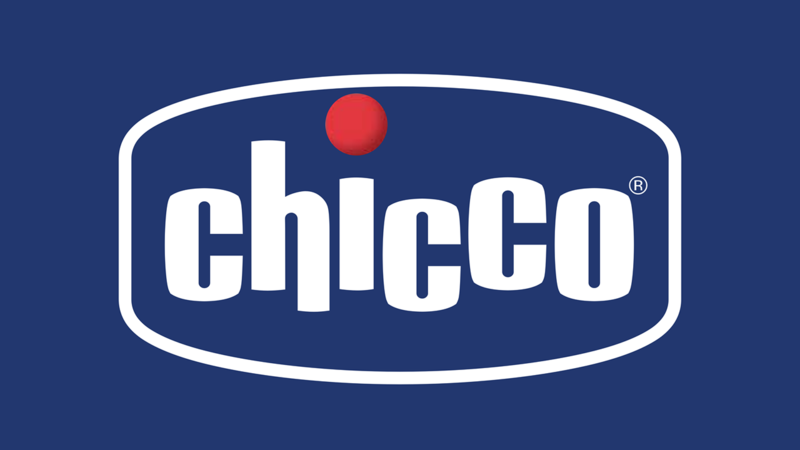 We absolutely love Chicco. We used this travel system with my son and look forward using it for our little one due in December. It arrived super quick and is very easy to install. My husband bless his heart wanted to buy all the big items for the baby. I did my research on the best stroller for the buck and found that chiccos bravo travel trio had been rated #2 by mothers. I didn�€™t want to spend more than $300 on a stroller car seat combo so I was determined to find the best price. I finally found it here for less than my target budget price. I was super happy to find the stroller in black and white because I had see it at buy buy baby in gray and absolutely hated the color. It made the stroller look cheap and old. This website was the only website I was able to find the Chicco bravo trio in black under $300. Every other website was charging $80-$100 more just for the color black. Thankfully here I got the best price for the stroller and we were super satisfied with how quickly it was delivered and how easy it was to assemble. Thank you Albeebaby you guys have a customer for life. Purchased this as a gift for my daughter. It was highly recommended to her by a close friend. The car seat is reviewed as one of the best. The set up is super easy and the whole travel system is very convient. Our daughter is not here yet, but I can not wait to use it! We were wanting a different pattern, but this pattern was the cheapest...when it arrived I absolutely fell in love with the rainfall pattern!! I�€™ve been using this set for a week now. It is easy to assemble and use. So far so good. Can�€™t beat the price. The car seat was easy to install and works great. Super comfortable and the newborn insert was an added plus! It is a little heavy to carry but it makes me feel safer for car rides. However, the canopy on the car seat is truly terrible. Anytime I was out for a walk with the car seat in the carrier the canopy would slide back leaving my daughter exposed to the sun. It was not long enough to cover her legs so even when it was hot outside, I had to cover her partially with a blanket. If I tried to pull the canopy taut, it would pull up the fabric of the car seat or detach completely and fold up. It made taking a walk on a sunny day a less than enjoyable experience. My daughter is 6 months old now and using the stroller. The harness is great and the whole stroller folds so easily. The only problem I have with the stroller is that the window on the canopy does not have a flap to close it, again leaving my daughter exposed to the sun. Overall, this is a good product with a few easily fixable design flaws. I've always loved Chicco car seats, so when I found out my nephew was going to be a dad, I knew what our gift would be. After researching strollers, we decided this was the best bet. The stroller has held up very well and was easy to use. The infant car seat was of course perfect and fit well in their small vehicle. This travel system is a must for your newborn. Will never buy another kind again. it is sturdy and very easy to use. With all the Products that are available to consumers. TheChicco Bravo System provides new moms with a product that is easy to use and doesnt take a truck to haul it. The Stroller moves easily. The handle is adjustable which was a concern for my daughter who is very tall. The baby can be completely covered and shaded from the sun with a convenient pee hole so that you can see them at all times. I love this certain color so much. It is exactly same with the picture. Looks not cheap at all. This stroller is so cute and stylish for my cousin in law! Its easy to use and convenient! Sturdy and safe but so adorable for my new granddaughter! This is my second travel system from Chicco. I absolutely love these products! They are easy to use, well made, and extremely safe for baby. Awesome yet simple travel system! Love how simple it is to open/close the stroller and how sturdy the carseat is. I like the fabric quality and color as well. Easy to wipe off any spills. I've owned a britax b-agile stroller and car seat before, but this one feels a lot more durable. Lots of room for storage as well! Expecting our first baby in 2 weeks and had to ensure I had a baby seat and stroller. We decided to go with Chicco and I looked everywhere from Amazon, Target, Walmart, and other online retailers. I consider myself a savvy shopper and even had coupons and gift cards from other stores but at the end of the day Albee had the best price. This was the first time I had ever heard/been to the website and will definitely purchase more items from Albee. Happy with the transaction and shipment. Still can't believe I saved about $100. ConsStroller is a little heavy but overall easy to fold. I love everything about this car seat and stroller, its very easy to change the stroller carseat options. Best baby gift ever!!! Just as easy to control as the video shows!! Mom to be very happy and excited to use!! I found this stroller and car seat travel set on this website for over $100 cheaper than any other site. When we received the set it was about 85-90% set up and was absolutely beautiful. We will definitely be checking this site again before making any major baby purchases! Is the handle reversible? Front and rear facing.